Thanksgiving (and its break) arrive at the perfect time each year. Teachers and students are feeling exhausted. Overwhelmed. Inundated with tasks. And creative? Yes! 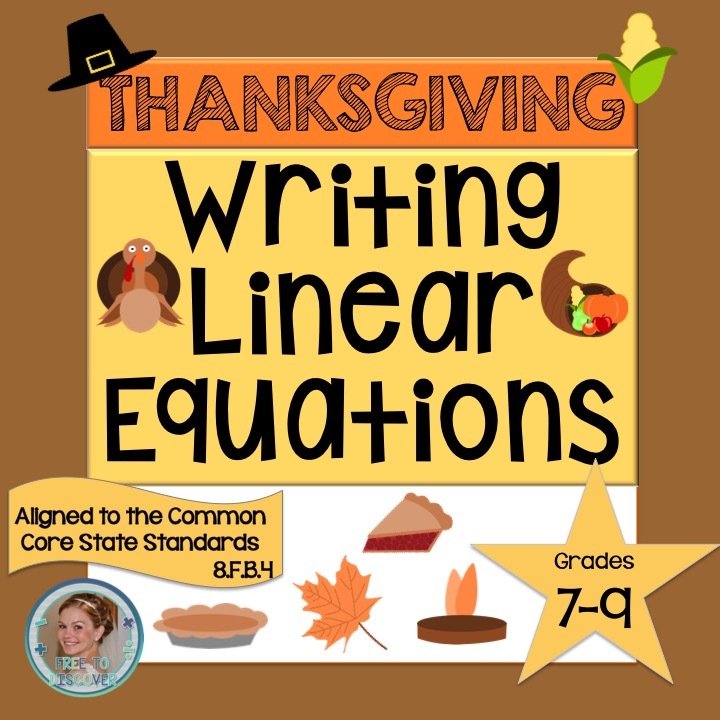 Each year I have wracked my brain for ways to engage my eighth grade math students in meaningful activities that highlight the upcoming holiday. I have always fallen short. 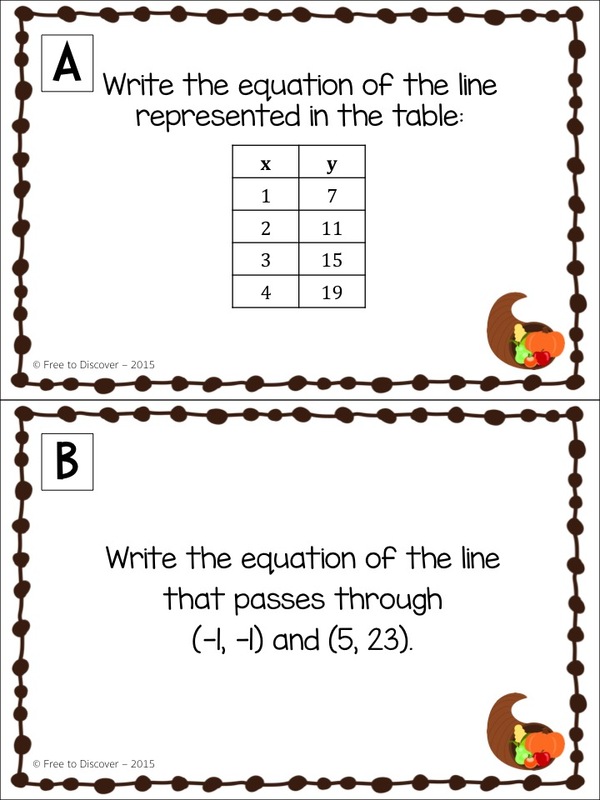 My most notable “fail” was my first year when we made hand turkeys and wrote about being thankful for math. <<Palm to Forehead.>> Thankfully I’ve come a long way since the hand turkeys. I have developed a meaningful activity that engages students in a hands-on review of the current unit of study. I love it. My students love it. Other teachers love it. Students work with a partner to complete eight stations. 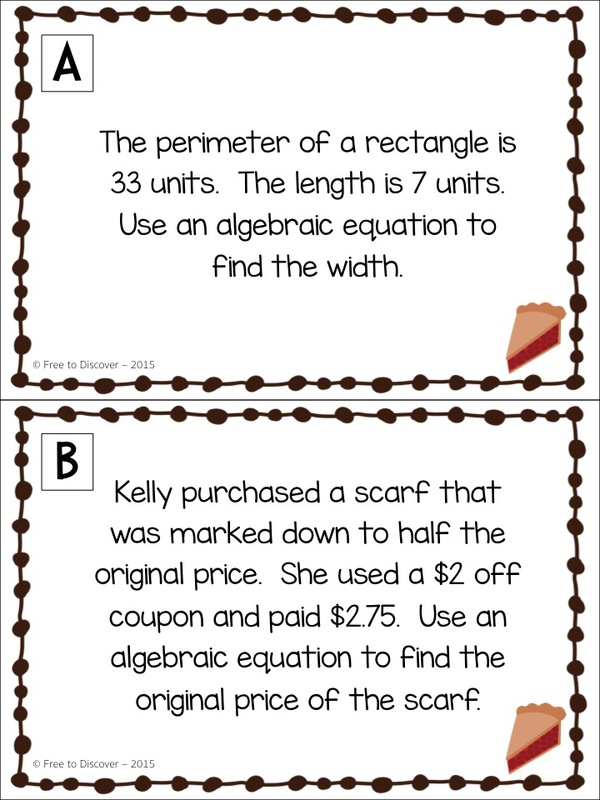 Here’s the twist: Each partner solves a different problem (“A” or “B”), but they should arrive at the same answer. 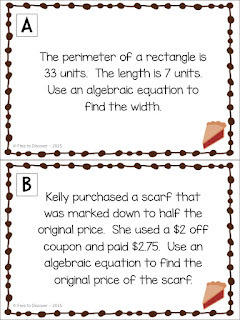 Students are motivated because they have someone else to bounce ideas off of and they get quick feedback to measure their understanding of the topic. 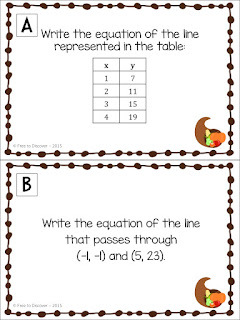 In this activity, students are up and moving around the classroom. 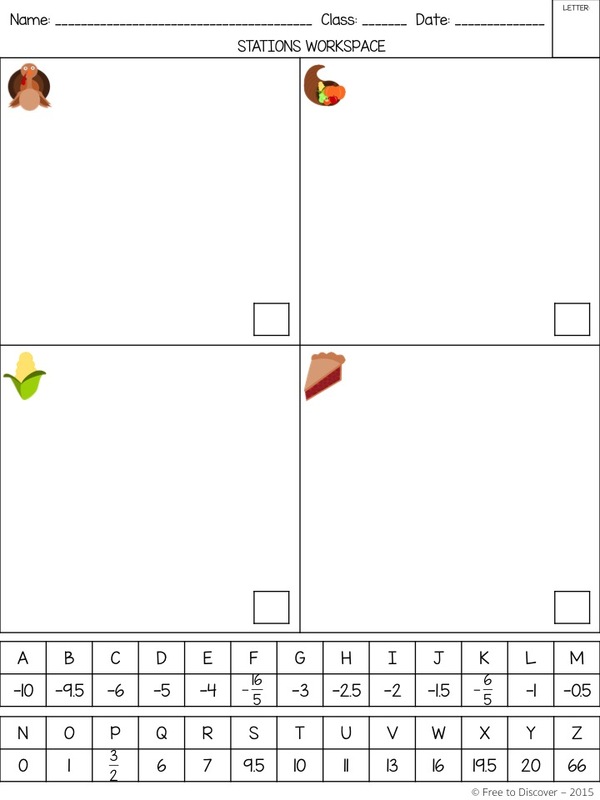 I allow my students to move at their own pace and go in any order they’d like. Movement and hands on practice stimulate the brain and promote high student engagement. By developing a Thanksgiving-themed activity around our current unit of study, I can feel confident that my students are engaging in meaningful math practice. These partner stations are leaps and bounds more meaningful than those original hand turkeys. 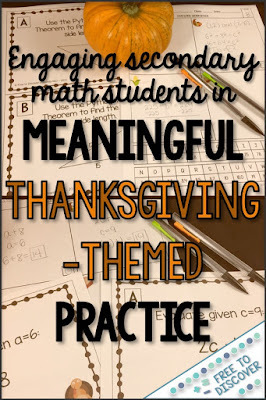 As Thanksgiving approaches, students are naturally going to become excited and antsy. 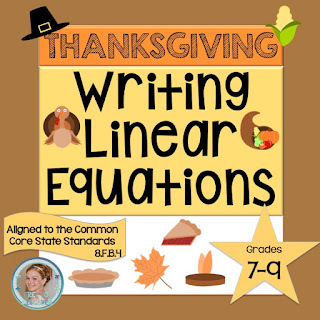 These Thanksgiving-themed activities embrace that excitement and channel it in a meaningful educational direction. Similar activities are also available for other holidays. I am happy to create based on requests!